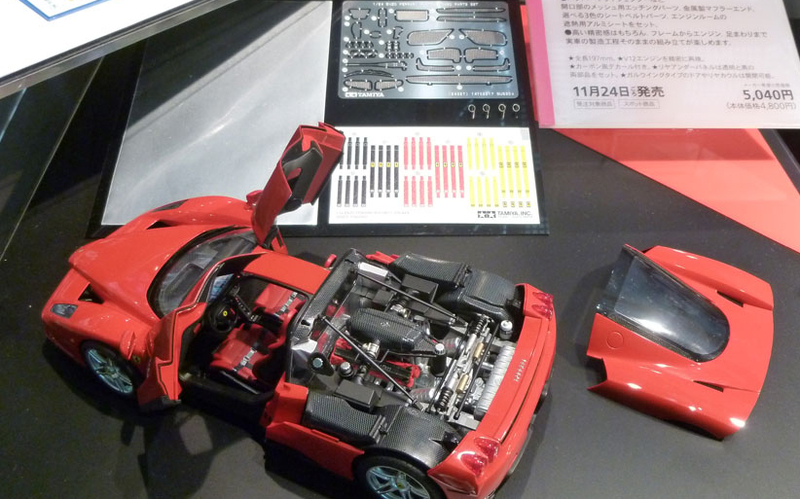 2012 marks the 10th anniversary of the Enzo Ferrari and Tamiya is celebrating the occasion with this special kit. 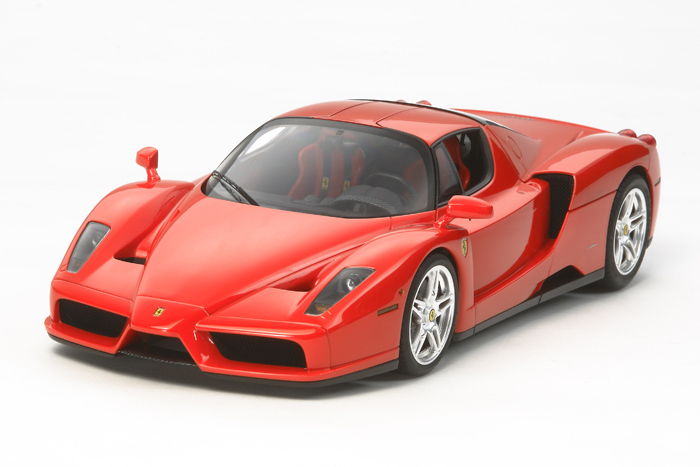 Tamiya's 1/24 scale Enzo Ferrari (Item 24302) has been packaged together with an extensive detail parts set to enable the modeler to build the Enzo kit with a higher level of realism. These new detail up parts include photo-etched parts to depict pedals, engine grille meshes, and windshield wipers, as well as metal exhaust tips, seatbelt stickers in 3 colors (red, yellow, black), and aluminum stickers to depict heat-resistant material in the engine bay section.